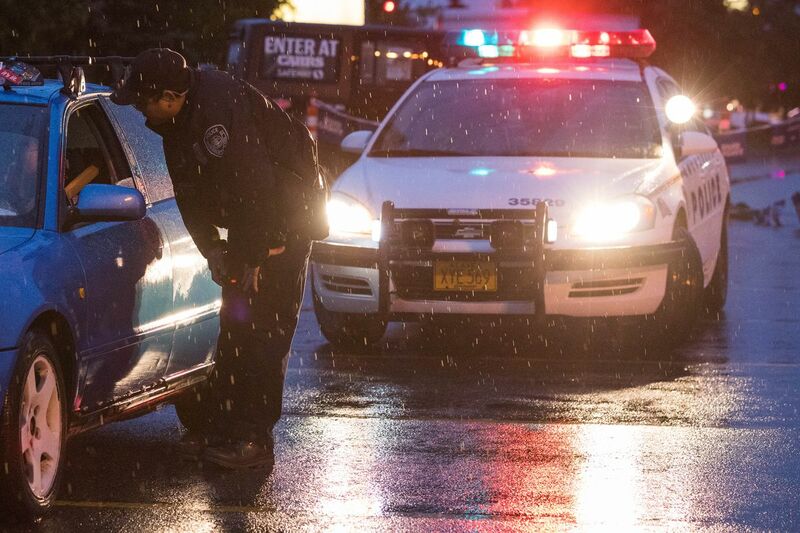 When the Alaska Legislature approved its big criminal justice overhaul, Senate Bill 91, in 2016, it had broad support, passing the House 28-11 and the Senate 14-5. 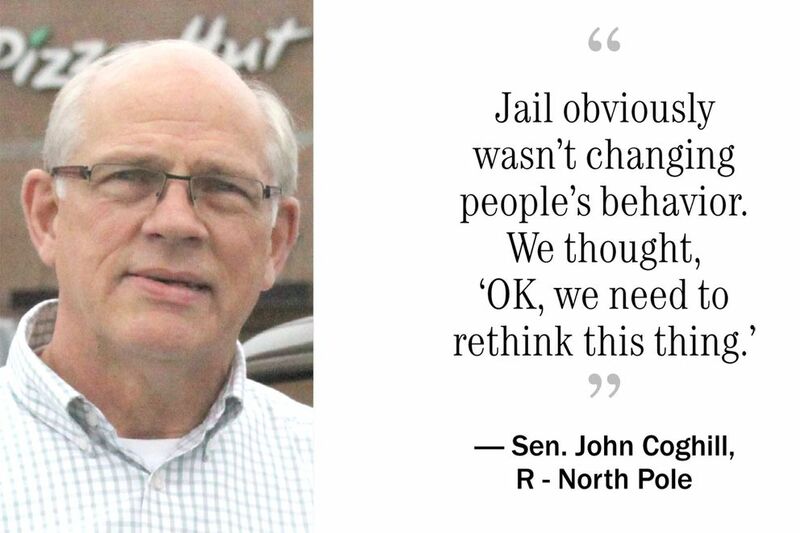 One of the Senate's staunchest conservatives, North Pole Republican John Coghill, sponsored the bill, which reduced prison terms for all but the most serious violent crimes. Other GOP lawmakers from the most conservative parts of the state signed on, too, breaking with a long Republican tradition of favoring longer sentences, and most Democrats were on board as well. But less than 18 months later, in the face of growing public outrage over crime, some of those same lawmakers are backpedaling, along with Alaska Gov. Bill Walker. One of SB 91's co-sponsors, Anchorage Republican Sen. Mia Costello, is now calling for a full repeal. Ninety-two percent of the Alaska Republican Party's leadership voted in favor of repeal earlier this month. Walker has asked lawmakers to consider revisions to the legislation during a special session that starts Monday. The simmering public debate over the bill coming so soon after its passage prompts a question: How did the legislation get approved to begin with? The 123-page bill made changes to all phases of the criminal justice system, from bail procedures to prison sentences to parole and probation. It was one of the most ambitious and extensive laws to pass the Legislature in recent years. 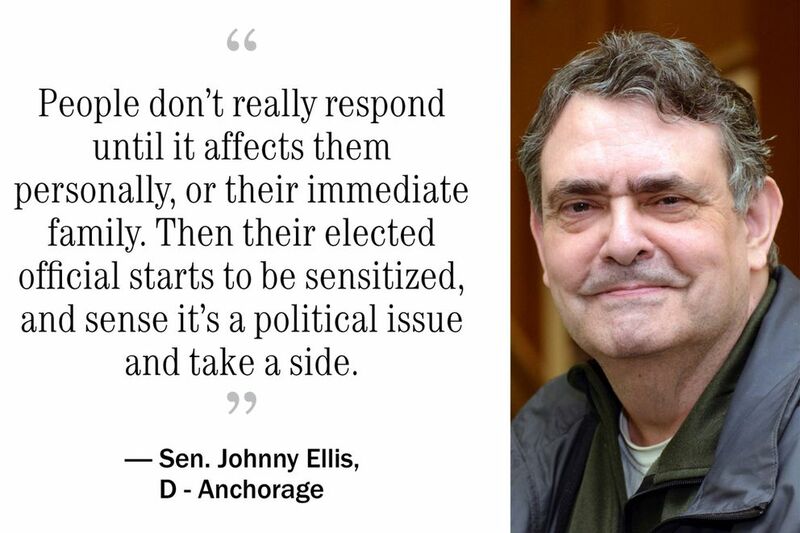 And it won support from some of Alaska's most liberal Democrats and conservative Republicans. In interviews, lawmakers and others involved in the debate cited an array of factors that aligned all at once. The measure had a trusted sponsor in Coghill, who had help from a long-serving Senate Democrat, Johnny Ellis of Anchorage, and a cooperative executive branch led by Walker. There was a conservative group, Right on Crime, that brought in a former Texas Republican legislator, Jerry Madden, to help convince the ruling GOP majorities in the state House and Senate that overhauling the justice system was the right thing to do. The Pew Foundation did research and analysis and hired one of Alaska's most respected lobbyists, Kent Dawson, to help push the bill. Then there was Alaska's massive budget crisis, which made legislators newly sensitive to the state's growing prison population. Without changes, some lawmakers feared they could be forced to build another expensive new institution. Each of those factors helped bring lawmakers on board. But the original, motivating force, Coghill said, was that the state's criminal justice system simply wasn't working. The state's violent crime rate is consistently one of the highest in the country. And nearly two-thirds of people leaving prison were returning there for another conviction within three years, according to state data, Coghill pointed out. "Jail obviously wasn't changing people's behavior," Coghill said in a recent interview. "We thought, 'OK, we need to rethink this thing.' "
Ellis retired last year after 30 years in the Legislature. As a lawmaker, he said he long pushed for changes to the criminal justice system with the goal of reducing expensive prison sentences for non-violent criminals, while boosting treatment for the drug and alcohol addictions that often fuel crime. But, Ellis said, he ran into resistance from successive Republican governors — and from Republican legislators who took a "tough on crime" approach. And some of his Democratic colleagues feared being labeled as soft on crime, Ellis added. By 2013, however, things had started to change. 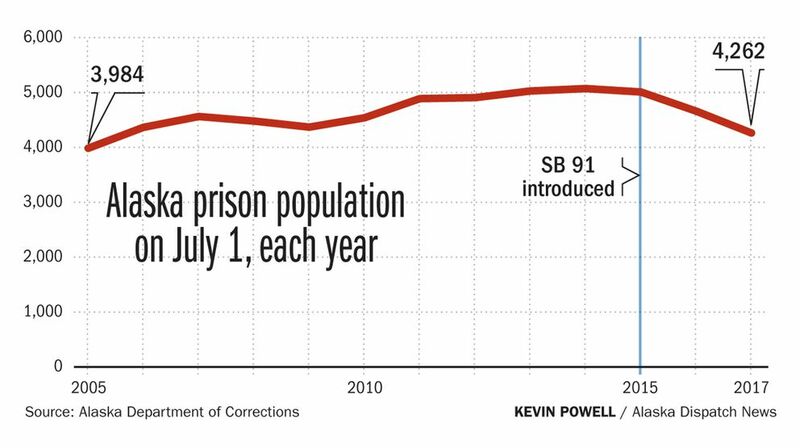 Alaska's prison population was soaring — it rose by more than one-fourth between 2005 and 2014. That far outstripped population growth, even as violent crime fell slightly and non-violent crime dropped sharply. State lawmakers had just spent $240 million on Goose Creek Correctional Center, outside Wasilla, which opened in 2012. And they were leery of the cost of building another prison. It was around that time that Ellis, who was doing internet research, came across the website of Right on Crime. The Texas-based group is endorsed by Republicans like U.S. Secretary of Energy Rick Perry and former Speaker of the House Newt Gingrich, and it makes what it calls a "conservative case" for criminal justice reforms. Right on Crime has teamed with other conservative activists and organizations, including the billionaire Koch brothers and the American Legislative Exchange Council, or ALEC. The group argues that prisons are overused at taxpayer expense and that long sentences can break up families. Tough-on-crime policies don't actually solve the underlying problem because, Right on Crime says, they don't reduce the chances that someone will commit another crime once they're released. Conservative lawmakers had embraced those principles and supported justice system overhauls in other states, including Texas and South Carolina. "There were all these people that were not my fellow travelers," Ellis said, referring to Right on Crime's boosters. But, he added: "I agreed with this Republican website and all of their principles." Ellis, who was in the Democratic minority, took Right on Crime's message to a pair of Republican senators in the majority — Coghill and Fred Dyson of Eagle River. The two Republicans brainstormed ideas with Ellis and another Democrat, former Anchorage Sen. Hollis French. Coghill, a devout Christian who has sponsored bills to restrict abortion and loosen Alaska's gun laws, put their initial concepts into Senate Bill 64, which was unveiled in February 2013. Ellis also helped recruit Madden, the former Texas Republican representative who now works with Right on Crime, to help advance the reform push in Juneau. Madden appeared in committee there and talked with Alaska lawmakers. Both the House and Senate unanimously approved SB 64, and GOP Gov. Sean Parnell signed it in 2014. The 31-page legislation expanded drug and alcohol treatment programs. It increased the value of goods that had to be stolen for a theft to qualify as a felony, and it created a new, intensive probation program for people leaving prison who were deemed to be at high risk of committing new crimes. And the legislation created the 13-member Alaska Criminal Justice Commission. That new state entity was tasked with recommending research-driven reforms to the state's justice system, with guiding principles that include rehabilitating criminals, protecting victims' rights and cutting costs. In 2015, Walker, House Speaker Mike Chenault and Senate President Kevin Meyer, both Republicans, gave the commission a more precise mandate. They signed a letter with three other GOP legislative leaders that asked the commission for sets of reform recommendations to hit three different budget-cutting targets: averting all future prison growth, or going even further and cutting the current prison population by 15 percent or 25 percent. From the start, the commission could claim Republican, law-and-order credentials. Dyson and another conservative, Wasilla Republican Rep. Wes Keller, were the two original legislative members. "It was really a Republican-led initiative, from some of the most conservative members in the state," said Greg Razo, a Cook Inlet Region Inc. executive and the Alaska Native representative on the commission. He now serves as its chair. Other commissioners represented all levels of the state's criminal justice system — among them were a public defender, active and retired judges, a Juneau police lieutenant, the state corrections commissioner and a victims advocate. The commission, with help from Walker and GOP legislative leaders, recruited the nonpartisan, nonprofit Pew Charitable Trusts, based in Philadelphia, to help with research and data analysis. The commission then teamed with four Pew staffers, who combed through Alaska's probation and parole data and more than 300 case files. They also interviewed attorneys, officials from the state court system and the Alaska Department of Law and mental health workers. Pew's review showed opportunities for money-saving reforms and rehabilitation programs at all three levels of the criminal justice system: after arrest but before trial, at sentencing and after release. And the organization cited research that showed such reforms could reduce the likelihood of repeat offenses. In the preceding decade, Pew found, Alaska defendants were spending significantly more time in jail before trial. That was even though release was often linked to a defendant's ability to come up with bail money — rather than their risk of committing another crime or missing a court date. And research cited by Pew showed that jailing low-risk defendants for more than a day, before trial, makes them more likely to commit new crimes during that period. Pew's review also found that Alaska convicts were being sentenced to longer prison terms, even though research has shown that longer prison terms don't make a criminal more or less likely to reoffend. Similarly, it found that the average length of time on parole and probation in Alaska increased 13 percent in the preceding decade, even though most violations are in the first three months after release. That meant more state money was being spent on monitoring people beyond the high-risk period, Pew said. "It was obvious that what we were doing wasn't working," Razo said. The commission split into three groups, each of which reviewed a stage of the system and made its own recommendations to address the inefficiencies identified by Pew. The full commission unanimously approved the final package of 21 reforms and sent them to the Legislature in December 2015. They were projected to reduce the prison population by 21 percent and save $424 million over the next decade. SB 91 — the justice system overhaul ultimately passed by the Legislature — was initially introduced late in the 2015 legislative session. But that 21-page version was largely a placeholder. Once Coghill augmented it with the commission's recommendations, early in the 2016 session, it quadrupled in length, and it was 123 pages by the time Walker signed it. Though the overhaul had the support of legislative leaders and most minority Democrats, it still took a tortuous path through the House and Senate, with more than 50 hearings in six different committees. The bill also faced strident opposition from some members of both parties who opposed reducing sentences, like Eagle River GOP Rep. Lora Reinbold and Anchorage Democratic Rep. Andy Josephson, a former prosecutor. SB 91's supporters, however, mustered an array of assets to keep the legislation on track. Among them was Coghill himself — who testified on the bill's behalf and lobbied his colleagues — and whom Ellis described as the "perfect standard-bearer" for the legislation. "His reputation is stellar," Ellis said. "He's a good Republican soldier, but he takes orders from his conscience, the Bible, his family and the Constitution." Proponents also had the cooperation of Walker's administration. Pew, meanwhile, hired Dawson, who was paid $120,000 in 2016 to help push the criminal justice reform initiative along with a separate initiative to improve Alaska's voter registration system. Some conservative critics of the bill, like Reinbold, have questioned Pew's influence on the reform package. 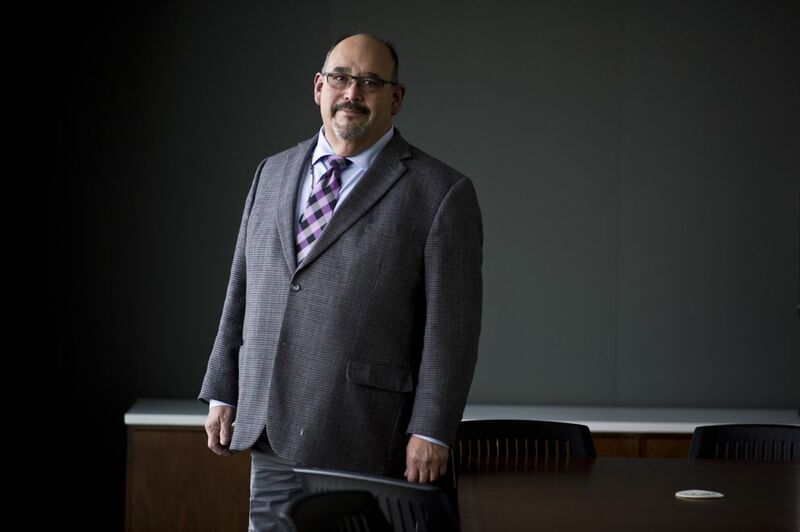 But Razo, the chair of the Criminal Justice Commission, said the organization's lobbying efforts were always aligned with the commission's own policy recommendations. "If they had an agenda, they didn't show it to us," Razo said. The bill's critics wrote letters, lobbied and delivered their own emotional testimony. And lawmakers opposed to the legislation proposed a raft of amendments over several days of floor debate. By the time the bill was approved by both the House and Senate, its provisions had been scaled back. The final version was projected to reduce the prison population by 13 percent over the ensuing decade, down from 21 percent if the Criminal Justice Commission's original recommendations had been adopted. Opponents, nonetheless, said they were still frustrated by what they saw as lawmakers' haste in adopting such wide-ranging reforms. "I heard that repeated over and over and over, that you can't just do part of it — you have to do the whole thing," said Taylor Winston, head of the Alaska Office of Victims' Rights, a legislative branch agency. "That's nothing that's been untouched." Winston said she thought the research that underpinned the legislation was too anecdotal, and that reforms should have been put in place more gradually. 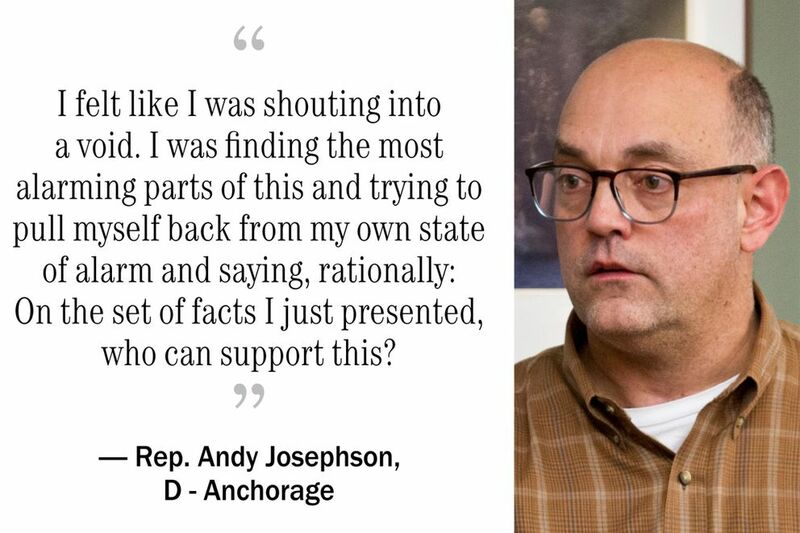 Josephson, the Anchorage Democrat, said he was perplexed by what he described as resistance from his colleagues to engaging in substantive debate on his proposed amendments. He said he observed a similar lack of interest from the public and media in the details of the legislation. He was particularly alarmed, he said, by the fact that SB 91 would reduce sentences for some violent crimes, not just non-violent ones. "I felt like I was shouting into a void," Josephson said. "I was finding the most alarming parts of this and trying to pull myself back from my own state of alarm and saying, rationally: On the set of facts I just presented, who can support this?" Ellis, the Democratic senator who pushed the criminal justice overhaul, acknowledged that the reform bill didn't seem to get much attention from the public during the legislative process. But he argued that was in line with the indifference he faced for years as he tried to get the state to respond more aggressively to its heroin epidemic. In both cases, he said, people got engaged once they started seeing problems firsthand. "People don't really respond until it affects them personally, or their immediate family," he said. "Then their elected official starts to be sensitized, and sense it's a political issue and take a side." Correction: An earlier version of this story incorrectly reported the number of hearings held by the Legislature on the bill. It was more than 50.